The obituary ran this week. 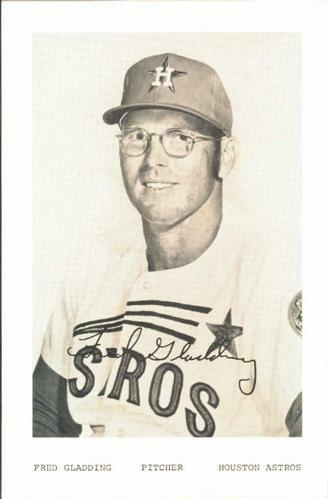 Fred Gladding, a wily reliever for the Tigers and Astros, gone at age 78. The ever-dependable www.sportscollectors.net credited the hurler for a 97 percent response rate, answering more than 200 by-mail requests. I landed Gladding when he was an Astro. He was willing to add a photo on request. Never be shy about asking. Fred taught me that. Check out an impressive video interview from Billy Staples with Gladding, conducted in 2013. See what we’re missing. 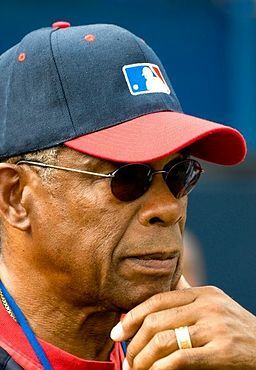 I remember seeing Rod Carew alone in the Kansas City hotel lobby. I had just started a sheet of Hall of Fame autographs, with a nifty HOF sticker in the middle. The still-active Twin remained expressionless when I asked him for an autograph. He looked at the sheet. I could see him eyeing the first signatures: Carl Hubbell, Stan Musial, Duke Snider. Carew shook his head. 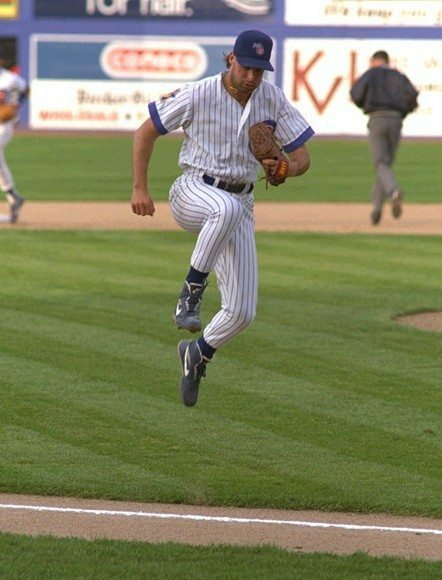 “I’m not in the Hall of Fame,” he said. He stared me in the eye, then smiled. He signed. Ever since, in every letter, I’ve shared why I’m choosing that person. What makes them unique? Believe in them. Maybe, they’ll return the favor. You can learn a lot from baseball researcher and author Alan Cohen. Initially, he reached me through this blog. He’s in the home stretch of writing a fascinating baseball history book. I spotted, via Facebook, one of his victories. Someone found him on LinkedIn. Her dad had played in the “Esquire All-American Boys” game, a precursor of the Hearst Sandlot Classic. 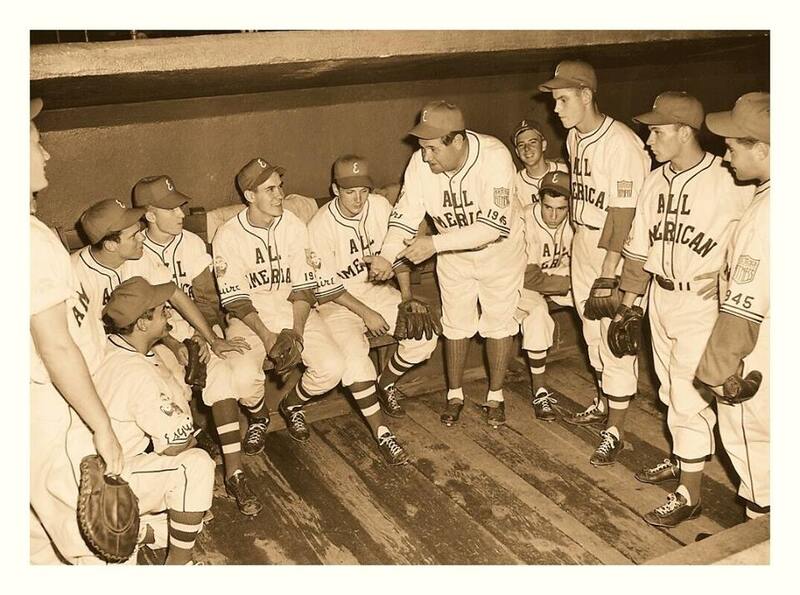 Yes, that’s Babe Ruth, circa 1945. Moral? Don’t be shy. Don’t be silent. Don’t spend all your time talking about the weather, your ailments, religion or politics. Share a passion. You write to former players? Then, don’t count the misses. Only the hits. If the world doesn’t know about your hobby, how can anyone ever help you? 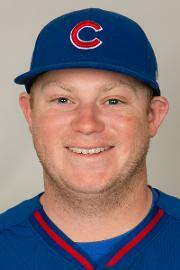 Chicago Cubs pitching prospect Blake Cooper made headlines for an off-the-field reason. No, he didn’t get arrested. The PCL hurler’s temporary home caught the attention of the state’s biggest newspaper. Seasons ago, former Iowa Cub Rod Beck redefined portable lodging when in Des Moines, keeping his RV parked just outside the outfield fences. Good luck figuring out where Cooper will park in The Windy City. I’m guessing collectors may need to stick with the “c/o team” route in this case.